“I’m making a salad!”, Mother would call from the kitchen. That was my cue to go to the big wooden sideboard in the kitchen, grab one of the deep plastic mixing bowls and head outside to the garden. I’d pass by the old rope swing and it would beckon me to come over and play, but Dad would be home from work soon and I was on a mission, so the swing would have to wait. 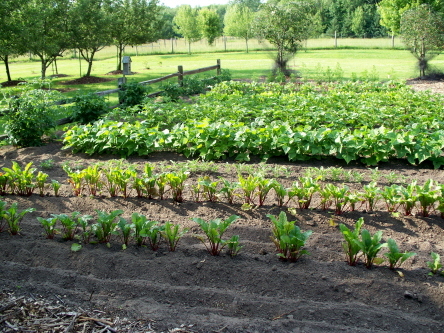 The vegetable garden was at the front of the house on the other side of the driveway and so offered a good view of the Third Line as I glanced around at the rows of plants and decided where to begin my harvest. I’d start with the carrots first so I had a snack to munch on while I picked out the other vegetables. I’d gaze down the row of carrots and find the biggest one, grab it firmly, close to the ground, give it a good yank and wipe it off on the grass. I’d break off the spindly end and bite down and give some thought to the next carrot that I would pull. I’d pull about three big ones, and then move onto the lettuce. Sometimes the lettuce would have been chewed a bit at the edges so I’d try to find some good leaves that were all intact and pick a bunch of those. Tomatoes were next and I’d look for the reddest, ripest and largest to add to my plastic bowl. We usually grew ‘Beefsteak’ tomatoes and they were juicy, flavourful and tasty on thick, toasted slices of Mother’s homemade bread. I would break off one green pepper and one cucumber and pull up about four bunches of green onions to finish off. Sometimes Mother would cut up the cucumbers and onions and soak them in a glass of vinegar and water for a treat to have with supper. Our food wasn’t fancy at home, but it was always fresh and Mother’s crowning glory for the salad was of course, her homemade dressing. It was always a pleasure on those hot summer afternoons to go to the garden and see the results of all of our hard work. The tiny seeds that were planted in the spring, all of the watering, weeding, and hoeing that had been done over the past months had yielded these ripe and tasty vegetables for our table. Though we’ve tasted many salads since those days, none could ever compare to the warm, summer vegetables from our own country garden. This entry was posted in Short Stories. I was salivating while I was reading and remembering those wonderful trips to the family garden and the veggies that we ate before they even got into the salad – great memories! Mother kept us busy working on those gardens but we were certainly rewarded with good food for our efforts!